A fire in the most important cultural relic in the Western World in an age of fake news and false flags requires deeper analysis, but where's the journalism? He's been arrested and is being deported to USA [assange]. Is this the beginning of a trend of staged events to further a larger plan? The joy of earning billions...and paying no taxes! 60 profitable Fortune 500 companies managed to avoid all Federal Income Taxes in 2018. Here is the list. In a surprisingly candid admission, two former Federal Reserve chairs have stated that the Federal Reserve alone is responsible for creating all recessions in the United States. Expansions don’t die of old age. They get murdered. Two things usually end them…. One is financial imbalances, and the other is the Fed. Think that through, and you quickly realize that both of those things are the Fed. Is there anyone left standing who would not say the Fed’s quantitative easing in the past decade was the biggest cause of financial imbalances all over the world in history? Moreover, whose profligate monetary policies led to the Great Financial Crisis that gave us the Great Recession? So, the Fed loads the gun with financial causes and then pulls the trigger. In fact, I think it would be hard to find a major financial imbalance in the US that the Fed did not have a hand in creating or, at least, enabling. Therefore, if those are the only two causes, then it is always the Federal Reserve that causes recessions by its own admission. And, yet, those Fed dons look so pleased with themselves. 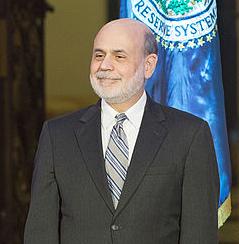 Bernanke elaborated on Yellen’s point, accusing the central bank of, in essence, murder. It takes an aggressive act on the part of the monetary authority to bring an expanding economy to a halt and cause it to shift into reverse. 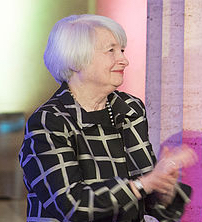 Yellen and Bernanke were speaking at the annual meeting of the American Economic Association in Atlanta earlier this month in the company of current Fed Chair Jerome Powell. As I demonstrated in my two earlier articles this week (“Does Inverted Yield Curve Indicate Recession?” and “What is an inverted yield curve and what does it mean?“), the Fed carries out this act of econocide by getting the yield curve to invert via its forced interest changes. As shown in those articles, every recession has been immediately preceded by a Fed-created inversion of the yield curve — the Fed’s smoking gun. As noted in those articles, today’s yield curve has already slipped into its penultimate inversion. First (on December third), three-year notes started paying more interest than five-year notes. (The five-year was at 2.83% interest, while the three-year hit just over that at 2.84%.) In essence, investors were betting the economy would be a tad better in five years than it would in three. Within a matter of weeks, the three-year notes were paying more than seven-year notes. Then, just about Christmastime, they started paying more than eight-year notes, inverting the yield curve even further out. The orange recession indicator light comes on when they take the next step of paying more than ten-year notes; and above that we go full recessionary red! The first three came all within in a month, so the rest may come just as quickly. In fact, we’re so close that one more rate increase by the Fed could pull the trigger. This is why Powell can be so reassuring about pulling back soon on targeted interest-rate increases. He knows he’s already operating with a hair trigger because of the Fed’s other tightening action in rolling bonds off of its balance sheet. Like a skilled sharp-shooter, Powell recently said the Fed is “watching and waiting” before it pulls the trigger with its next rate increase. At the same time, he suggested his balance-sheet reduction won’t end for awhile (and, of course, the Fed knows that its balance sheet reduction is skewing the yield curve faster than the Fed’s targeted interest-rate increases. The Fed raised the target range for its benchmark rate by a quarter point to 1.75 percent to 2 percent, but only increased the rate it pays banks on cash held with it overnight to 1.95 percent. The step was designed to keep the federal funds rate from rising above the target range. Previously, the Fed set the rate of interest on reserves at the top of the target range. Officials have said that, as they drain cash from the system by shrinking the balance sheet, a rise in the federal funds rate within their target range would be an important sign that liquidity is becoming scarce…. The increase appears to be mainly driven by another factor: the U.S. Treasury ramped up issuance of short-term U.S. government bills, which drove up yields on those and other competing assets, including in the overnight market. And that is what is now happening, but they are still planning to keep tightening by reducing their balance sheet. What is not said there is that the major reason the US Treasury is ramping up its issuance of government bills is that the Fed’s unwind is forcing them to refinance maturing bills on the open market as the Fed now refuses to refi those bills. I’ve maintained for a couple of years that the unwind will drive up other interest rates, causing problems throughout the economy. So, the Fed’s recent talk about reducing the number of rate increases in the Fed’s interest target is slight of hand because the Fed’s unwind is doing the heavy lifting here, driving up rates faster than the Fed changes its stated target rate. Powell assures everyone the Fed will slow down its interest-rate increases, even as the Fed pushes right ahead with its balance-sheet unwind, which is doing the most to invert the yield curve. Not too reassuring to hear the Fed Head say no one really has any idea what impact its balance-sheet unwind will have on other interest rates. Does the Fed not know, or does the Fed just not want to say what it does know? Now there is a strong correlation historically between yield curve inversions and recessions, but let me emphasize that correlation is not causation, and I think that there are good reasons to think that the relationship between the slope of the yield curve and the business cycle may have changed. It’s not every day that the Fed admits total culpability for the death of every expansionary period. Nor that it admits that the inflation its expansionist monetary policies create force it to become the culprit. Nor that it routinely overplays its hand. The words “I can’t know what will happen” when a gunslinger is twirling his cocked and loaded pistol with his finger on the trigger, should not give you comfort. Perhaps all these confession now will enable them to smile even bigger when the slaughter is over, and they know they did it this time in broad daylight. In other words, keep your eye on the rate hikes I keep talking about (the little gun), not on the big balance sheet reductions that we put on autopilot so we don’t have to talk about them. Like a great hunter, Powell said the Fed can be patient. Some analysts believe the Fed’s runoff of its balance sheet is hurting financial markets and want the central bank to end the program. Gee, ya think? A runoff that intends to force the US government to refinance an additional $2 trillion over the next 3-4 years on the open market might be hurting financial markets more than a quarter-point increase in the Fed’s interest target every few months? By shrinking its balance sheet, the Fed is draining the liquidity that sent stocks booming. Last month, Irjit Patel, the governor of the Reserve Bank of India, pleaded with the Fed to slow plans to shrink its balance sheet. If the Fed doesn’t shift course, “a crisis in the rest of the dollar bond markets is inevitable,” he wrote in an op-ed in the Financial Times. Other Fed members are just as aware of the Fed’s institutional murder rates as Bernanke and Yellen. St. Louis Fed President James Bullard told the Wall Street Journal this month that a recessionary risk is being telegraphed by what is now happening in the yield curve and that the Fed is causing the flattening of the curve toward inversion. So, these guys all appear to be well aware of what they are doing. In separate remarks to reporters …. he was open to a revisiting the balance sheet runoff but doesn’t think it is damaging markets as some argue. Bullard [said] that if the balance sheet runoff was impacting bond market as some suggest, then yields would be moving higher instead of the steady decline seen since November. The latter would be happening, except that money has been pouring rapidly out of stocks and into bonds due to the rate increases the unwind created in September and October. What he ignores is the fact that rate increases were so substantial they sucked massive amounts of money out of the stock market in a flood of capital flight because all of a sudden treasury interest looked quite enticing. That, of course, pushed those rates down some in November. Now that we’ve heard the confessions from the murderers and have experienced the diversions that will allow the next murder to happen as much in plain sight as the confessions just happened, let’s look at the case from another angle: What has been keeping the stock market alive and hopping over the past decade? Let me lay out evidence that it is clearly the Fed. Exhibit A: What turned around the market’s major crash in 2009? The Fed’s QE1. Does anyone think the market would have turned around without that massive intervention? Was that intervention with hundreds of billions of dollars mere window-dressing, or was it the greatest financial intervention to a financial crisis the world had ever seen? Exhibit B: What turned the market around the next time it “corrected” as soon as QE1 ended? Was it not instant QE2? More hundreds of billions of dollars? Exhibit C: What saved the market when Republicans played roulette with the nation’s credit rating in the summer of 2011 and shot themselves in the foot politically when Standard & Poor’s gave the nation its first credit downgrade before Republicans even had the chance to let the nation default? Was it not the immediate promise of an ever bigger, indefinitely ongoing new kind of QE called Operation Twist, which morphed into QE3? Exhibit D: Then, when markets tumbled in 2015 and 2016, because the Fed was backing off from monetary stimulus, their colleagues in other countries jumped in with their own QE. More than $5 trillion worth in 2016! All told, the world’s central banks have pumped in $15 trillion since then. But now they are all stopping! The Fed may claim that it does not attempt to rescue markets and that it looks only at economic indicators, yet somehow every time the market took a major plunge in the graph above, the Fed was instantly on the scene with a new invention of monetary stimulus in massive doses. Of course, “correlation is not causation.” Correlation is pretty interesting, though, especially when it happens at every plunge, except the one at the top that is plunging much further than any other time on this graph … because one thing IS different: No one is stepping in with salvation this time. If the Fed has been the salvation of the market again and again, lifting it higher and higher, what happens if the Fed and other CBs let the stock market drop? Do you think they won’t do that? The highest authorities in the Fed just told you they did it every other time. First, they create massive “financial instability,” as Yellen said, otherwise known as “bubbles,” which grow due to the Fed’s infinite capacity to create monetary stimulus. They let these grow until inflation finally “forces” them to tighten until they crash them. This one is the Fed and all its major partners in crime. When did stock markets start to plunge all over the world? Wasn’t it as soon as global QT started to reverse at the end of that graph in 2018? Ah, but “correlation is not causation.” Except that it kind of is when you keep finding correlation everywhere you turn. If the defense wants to argue the US market is not utterly dependent on the Fed’s constant protection, let me ask, “What did the market do in September of 2018 when the Fed removed one little word from its market-soothing speeches? Accommodative. Just as it watched its balance sheet-reduction up to full rewind speed.” It took its biggest plunge by far in the entire ten-year recovery period. As nearly everyone was saying, nothing bad suddenly emerged in the economy. All that changed was the Fed to merely implying it would be less accommodative to market concerns as it moved to full unwind. If you still think the Fed isn’t going to kill the economy this time, I have one more question for you: When was the last time the Fed raised rates in the middle of a major market “correction?” How about never. Yet, now it is raising rates and reducing money supply via balance-sheet reduction at the same time that it hints it is removing accommodation. But balance-sheet reduction doesn’t matter, right? In other words, “Don’t look at the big gun. Nothing to see there.” Said the people who have just told you that none of their expansions ever ended until they murdered it! Does the Fed have motive? Don’t ask me why the Fed will kill its own recovery. It is enough that it admits it always does. So, I’ll leave determining which of the many possible “why’s” up to you. Maybe the Fed will cop an insanity plea and say that even it doesn’t know why it does the things it does. Whatever their actual motive, this sure has the Fed’s unswerving M.O. all over it. It has their fingerprints and their multiple confessions of guilt. Maybe the Fed’s member banks, who own and run the Fed (as its only shareholders and as governing board members who have huge influence over who the additional government-appointed board members are), like to repossess things. That would be a motive. Or maybe they want to create a new cashless, digital, global monetary system. That would be a motive. Or maybe, if they can crash things as perennially as Japan has done for score or more of years, they can get permission to start buying stocks directly, and use their infinite money supply, as Japan, has done to take major ownership in all the stocks of the nation. Numerous conspiracy theories spend entire books making a strong case for different motives. I won’t land on one, but will note that all that matters is that there are plenty of motives to choose from. Sure, Yellen protested that “correlation isn’t causation,” but, on the other, she admitted causation by saying that, when the Fed is the culprit, it is generally because the central bank is forced to tighten policy to curtail inflation — inflation that only the Fed causes by creating trillions of dollars monetary stimulus. There only struggle this time to stay within their M.O. is that they have failed to create inflation in the general economy that they are supposed to govern. Maybe that is why they have pushed the expansion into the longest in history because they are obsessed with following their usual M.O., and inflation didn’t cooperate this time to “force” them to tighten into recession (their cover story). So, we have multiple confessions of murder by known Fed ringleaders. We have numerous pieces of circumstantial evidence that support their confessions. We have many possible motives. And, even the fact that the Fed continued pushing expansion longer than it has with more and more rounds of QE can be explained by its M.O. How many times has the Fed said they don’t understand why they couldn’t get inflation to rise to their 2% target for years. They could hardly claim inflation concerns when everyone knew CPI was under the target they’ve always said they want. Now it’s there. So, everything is in place. If you liked this article, please take a second to support David Haggith on Patreon!